Physical Condition: Second user condition with marks/dents on the lid. Hard Drive: Not included. CD Drive: Yes. At Tier 1 we believe in ethical solutions to redundant IT hardware. Integrated Webcam: Yes. Model DV9720us. & an 802.11 b/g wireless card which are present. They also say it has integrated 10/100 Base-T Ethernet. & the video card is a NVIDIA GeForce Go 7150M. This one seems to have a good screen and keys. I feel its important to mention that for about £500 these can be upgraded to absolute state of the art beasts for 2019. Do your research before you commit, but apparently there are kits to upgrade alienware laptops to very modern standards. Dell Alienware m17x r2. This laptop has been with me for years, never used since I stopped gaming. I just plugged it in and fired it up with Windows 10, and it's working perfectly. The battery has long had it, which is to be expected from most gaming laptops, but a new one is something like £40. I'd like to sell it since I don't play video games anymore. I'm sure there's a good home for it somewhere right? Working Motherboard YES. Dell 780/760. Repair and Spare YES. Hard Drive NO Hard Drive. Optical Drive YES. CHEAP 17" TFT Monitor - Assorted Makes- Acer Dell HP Hanns G (FREE CABLES). We do just give the check warranty of battery on arrival. NMR 36158 (I/B 36150). Graphics:14.1" SuperFine XGA TFT 300nits/ XGA TFT, 1024 x 768 pixels. Optical Drive: CD-RW. Hard Drive: None. NMR 36159 (I/B 36150). Graphics:14.1" SuperFine XGA TFT 300nits/ XGA TFT, 1024 x 768 pixels. Optical Drive: CD-RW. 2 different TalkTalk internet hubs - (Smaller one) 12cm x 9cm x 4cm - (Larger one) 21cm x 14.5cm x 3.5cm. -Advent keyboard - 42.5cm x 15.5cm. NMR 36156 (I/B 36150). Graphics:14.1" SuperFine XGA TFT 300nits/ XGA TFT, 1024 x 768 pixels. Optical Drive: CD-RW. Hard Drive: None. Condition is Used. Back left hand side corner crack. Model no PEW71. Model no PP41L. Model no NP350V5C. Crack on front left-hand side and left side and bad scrach on the top of laptop(pictures). Model no ASUS X5DIJ. 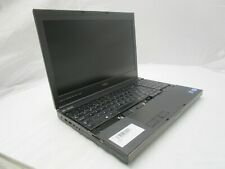 Laptop: Acer Aspire 6930G. Powers on Boots to Bios fine the graphics card is a Nvdia 9300m and has not been removed. Screws: all look to be present and correct. Hard drive caddie: present with screws. (Condition is For parts or not working. Not sure what model it is as it doesn’t say on the laptop check picture to get understanding. Machines are not checked/tested past powering up. 2) We only undertake a brief external inspection of the unit. (Aptop - Spares Repairs. Make / Manufacturer Lenovo. Laptop Speakers Generic. Bottom Casing Condition GENERAL WEAR AND TEAR. 6) Hard drives have been removed prior to sale and caddies may not be included, we do not check. (Model Lifebook A544. aptop - Spares Repairs. Make / Manufacturer Fujitsu. Laptop Speakers Generic. Bottom Casing Condition GENERAL WEAR AND TEAR. 6) Hard drives have been removed prior to sale and caddies may not be included, we do not check. Model: TravelMate 2410. Condition: For Spares and Repairs. This item is for spares or repairs only and is known to be faulty. Make: Acer. Type: Laptop. Colour: Silver. No Hard Drive. This item was found in our office. Faults are unknown and device is untested. Item is sold as spares and repairs as seen. Don't know the actual specs. Item may have an account on it but this is unknown. 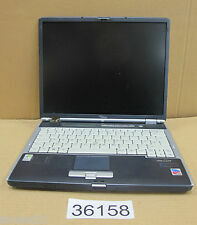 (Model Inspiron 13 5378. aptop - Spares Repairs. Make / Manufacturer Dell. Laptop Speakers Generic. All Screws Present NO. 6) Hard drives have been removed prior to sale and caddies may not be included, we do not check. Aptop - Spares Repairs. Model Pavilion 15-P245SA. Make / Manufacturer HP. Laptop Speakers Beats Audio. Includes Hinge Covers PRESENT BUT BROKEN. Top Casing Condition PLASTIC BROKEN AND COMING AWAY AT BACK NEAR HINGES. 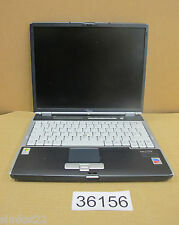 Lenovo Laptop | G50-70 | Spares Or Repairs. Condition is For parts or not working. Laptop purchased in 2015. Only used for school work and personal use. Recently on power up the screen would be black with flashing lines and eventually wouldn't come on. I've been told it's the graphics card. Hard drive has been removed. Everything else is untouched and as it came. Have power cable and original box. General Plastics in Good Condition. Keyboard OK. Screen looks OK.
Aptop - Spares Repairs. 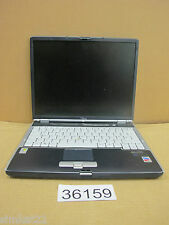 Model Aspire ES1-533. Make / Manufacturer Acer. Laptop Speakers Generic. Top Casing Condition PLASTIC BROKEN AND COMING AWAY AT BACK NEAR HINGES/ LIDS DETACHED. Bezel Condition BROKEN. This laptop is not working as the motherboard has stopped working. As it is a used item it presents signs of wear and tear. The rest of the components should be working OK. Sold as seen. Sold as faulty and untested (part of a job lot). The laptop is well-worn, there are scratches. Missing screws/rubber feet. No RAM/HDD. Aptop - Spares Repairs. Model Pavilion 15-G093SA. Make / Manufacturer HP. Laptop Speakers Generic. Includes Hinge Covers PRESENT BUT BROKEN. Top Casing Condition PLASTIC BROKEN AND COMING AWAY AT BACK NEAR HINGES. Does not power on any more.I have removed the hard drive. 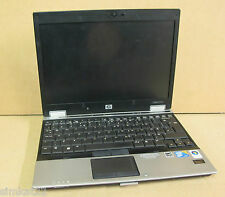 HP Compaq 6715b Laptop. Spares and repairs. Screen not working and harddrive removed as wasnt functioning. For spares and repairs only. No transformer/power lead. (Condition is For parts or not working. 6) Hard drives have been removed prior to sale and caddies may not be included, we do not check. Machines are not checked/tested past powering up. 2) We only undertake a brief external inspection of the unit. Model MacBook Pro 15 2015 Mid. aptop - Spares Repairs. Top Casing Condition CASING BENT AND DENTED IN PLACES. Bottom Casing Condition CASING BENT AND DENTED IN PLACES. Palmrest Condition CASING BENT AND DENTED IN PLACES. (Condition is For parts or not working. Machines are not checked/tested past powering up. 2) We only undertake a brief external inspection of the unit. 6) Hard drives have been removed prior to sale and caddies may not be included, we do not check. Type: Notebook/LaptopBrand: DellProcessor: Intel Core i3 7th Gen. The laptop is being sold as SPARES OR REPAIRS ONLY and so will need work done to it before it can be used. The laptop is faulty, and is also missing a hard drive. If these issues were repaired the laptop would be fully functional and working. Can not check for hardrive.